*That’s cute. Go have fun in Australia and leave ME—your girlfriend for an entire semester—to waste away on campus, alone. **Um, think again. Your couch is already taken. ***Great. Now I’ve got to find a place for the (unbelievably hot, it turns out) Aussie to crash. But there’s only one couch available: the one in my dorm room. 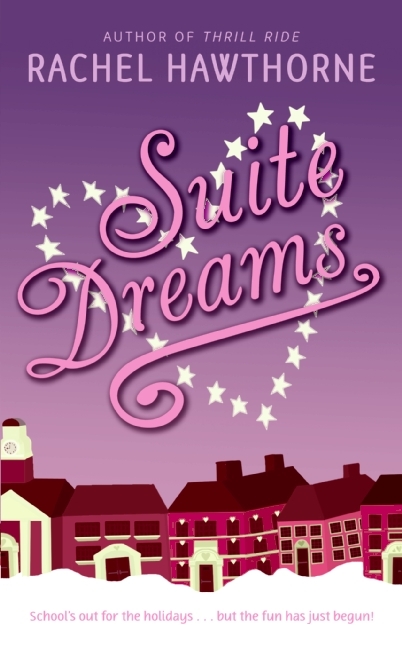 . .
Suite Dreams is the ORIGINAL NEW ADULT genre. Why do I say that? Because it has older characters that are in college. That seems to be the formula of a lot of New Adult books nowadays. I prefer books like Suite Dreams than the New Adult Books that are hitting the bookshelf’s today. Suite Dreams is wholesome PG rated romance which I love. It’s cute, it’s well written, it may be a little far-fetched at times, but who said I wanted reality when I’m reading a book. Especially a fluffy romance. I recommend this book to someone who wants a fun short read or anyone trying to get out of a reading slump. It will lift your spirits and make everything look dandy.